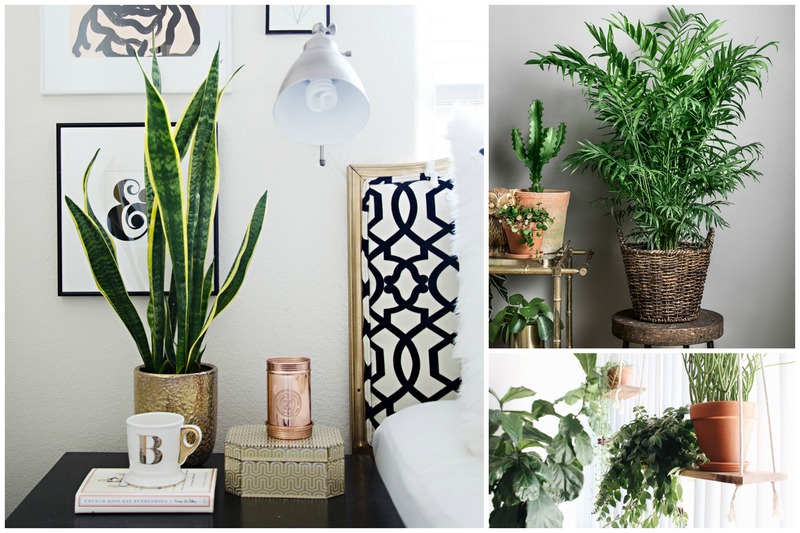 Fresh, green, picturesque houseplants – a timeless home decor trend that adds a pop of natural color to any room in your home! The problem is, most people do not have a lot of time to dedicate to a high-maintenance houseplant. And many homes do not have natural sunlight. This means that the majority of indoor plants will simply wither up and die. Good news! 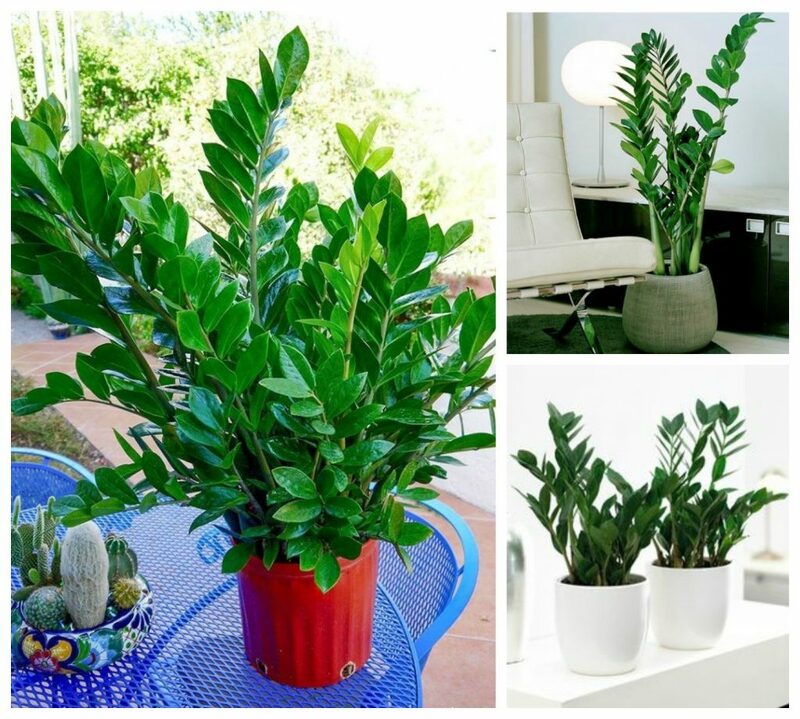 There are some popular houseplants out there that do not need a lot of water or sunlight. This means you can have the look without the work! 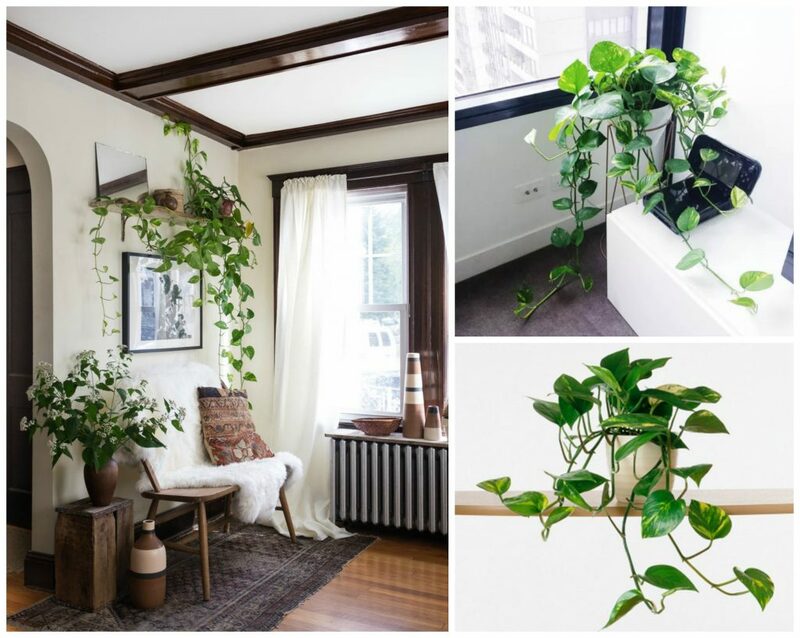 Below are 11 of my favorite low maintenance houseplants. They look amazing in any room and go very well with farmhouse decor. Don’t let the name scare you away! (Not to mention that it is also called the Mother-In-Law’s Tongue). 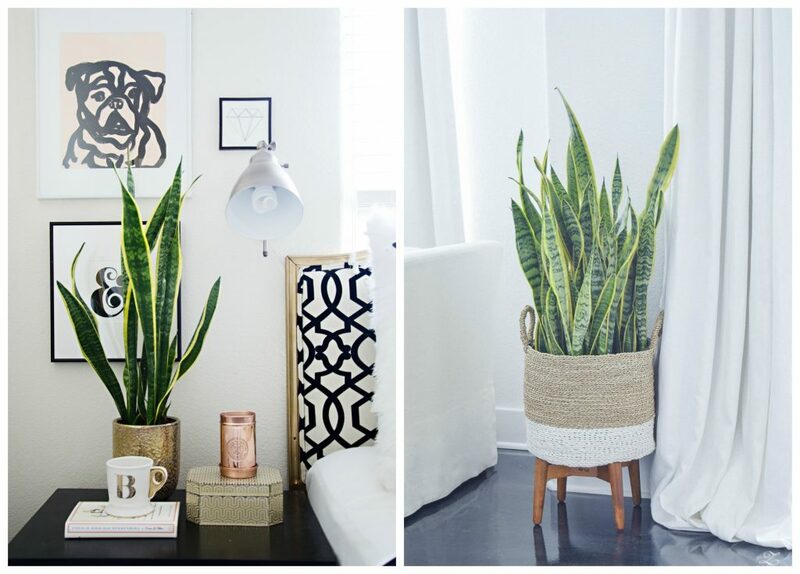 Snake plants are the perfect potted plants – thriving within the confinement of a pot. They are incredibly durable plants, thriving in dry conditions with little or no sun. This plant was given the name “Devil’s Ivy” because it almost impossible to kill! If given a small amount of water every once in a while, this plant will grow very long. As it grows in length, you can let it drape off a shelf or grow it around a post – making it a beautiful accent in any room. As an added bonus, this plant is also known for its ability to clean the carbon monoxide from the air. The parlor palm has been a favorite house plant for many decades! It is very easy to take care of because it can tolerate low light and colder conditions. This plant also doesn’t need a great amount of feeding or watering. This plant does take some time to grow to full size – usually a few years to reach full maturity. Keep this plant away from direct sunlight and avoid over-watering it. 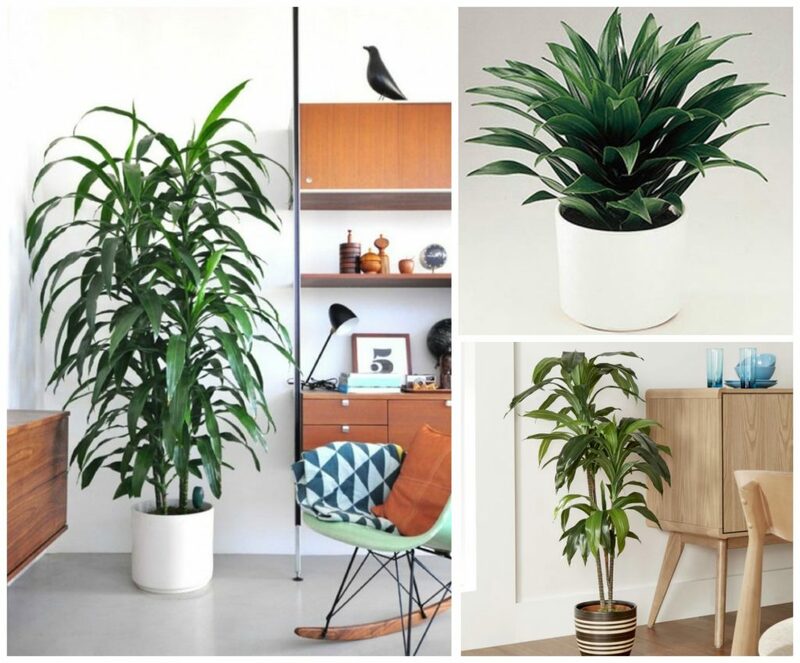 The Dracaena is a slow-growing plant that reaches a height of about 3-feet. It is also known to help improve air quality! To maximize these benefits, wipe the leaves with a damp cloth regularly. Once again, don’t let the name scare you! These plants do not attract spiders! The spider plant is one of the easiest plants to grow in a variety of conditions! This plant can thrive without sunlight, although a weekly watering will keep it healthy. 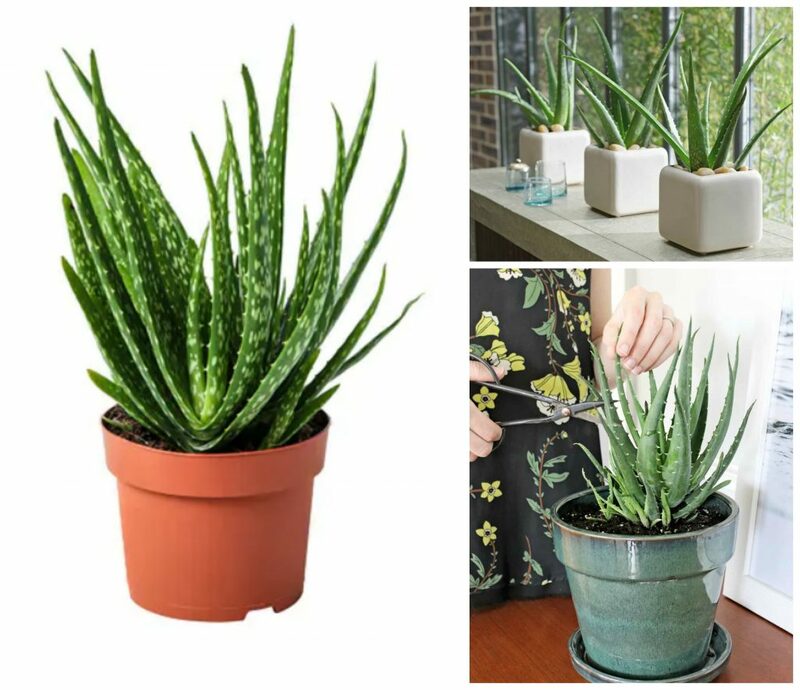 If you do not have a green thumb, this plant is the perfect plant to start with! 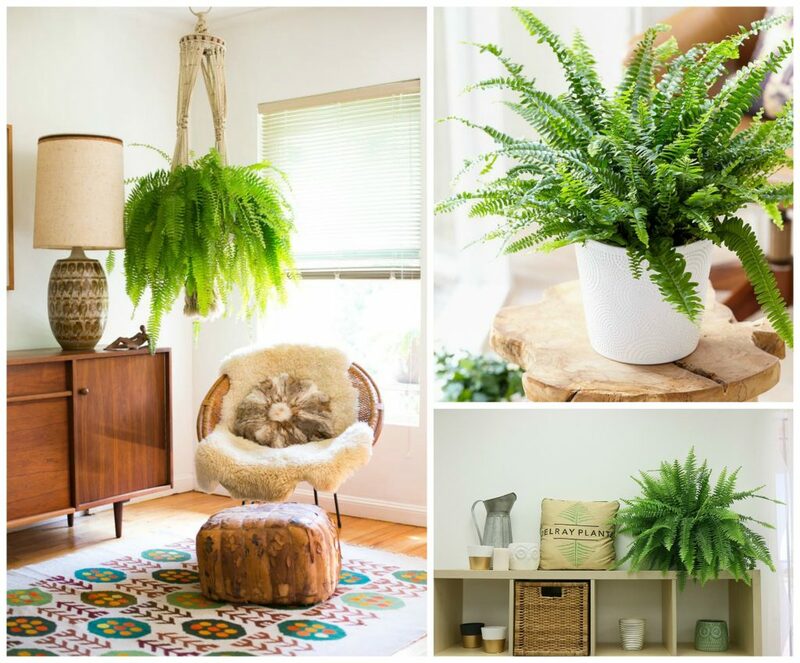 The Boston Fern plant needs to be kept in a cool, shady area of your home. This plant thrives in moist conditions, so it is necessary to water it on a regular basis. If maintained properly, it will grow as large as 4-5 feet! Known for being a natural air humidifier, this fern is one of the best plants for keeping your air clean and fresh! When most people hear the name Aloe Vera, they immediately think of a bad sunburn! That is because this plant is amazingly medicinal! It’s leaves secrete an aloe gel that is anti-inflammatory and antibacterial. This plant can be grown in any climate, as long as it is kept near a window and watered at least once every 3 weeks. The Lipstick Plant is a beautuful, flowering houseplant that is known for it’s bright and interesting flowers. It got its name because its flower buds resemble a colorful tube of lipstick. If you want this plant to bloom, you will have to display it in front of a bright window, where it get’s a lot of sunlight. However, if you prefer the green vine look, you can keep it out of the sunlight and it will grow just fine. 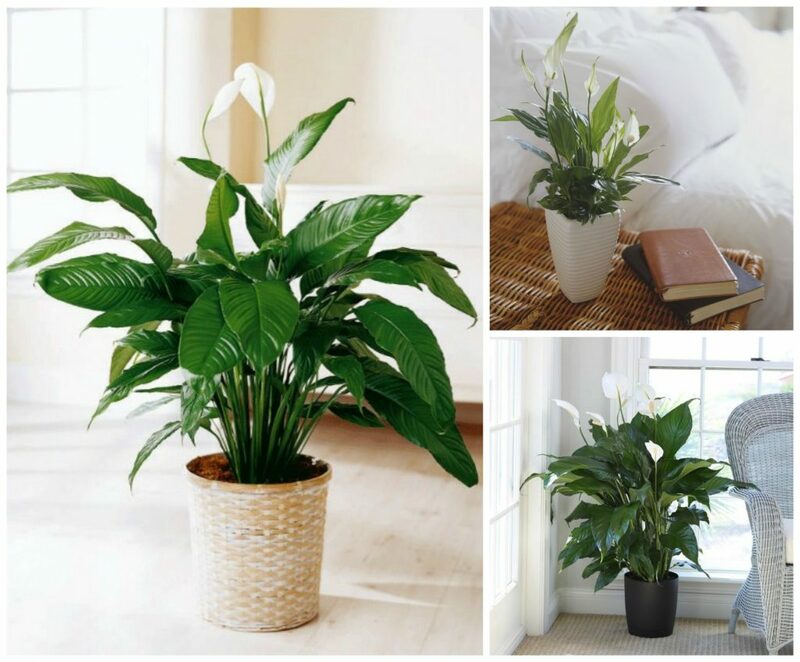 If you like some pretty flowers mixed in with your greenery, Peace Lilies are perfect for you! The best part is that they thrive in indirect light or windowless rooms. The rubber plant is famous for being able to withstand extremely low temperatures! It also is one of the top plants when it comes to air purification, removing air pollutants and toxins. Pictured above are also baby rubber plants. This plant is low light and can grow up to 10 feet tall! 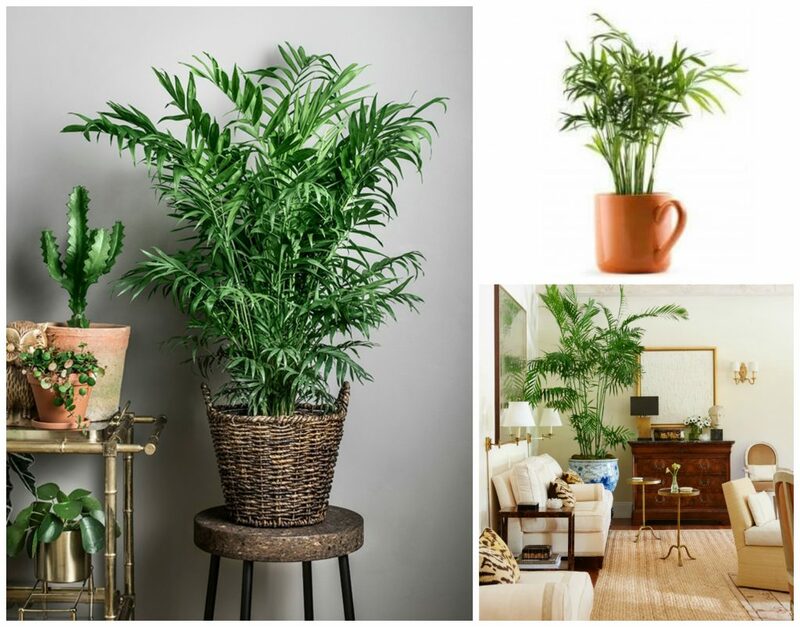 If you are the worst plant-parent in the history of mankind, this plant is for you! The ZZ Plant is from Africa and is use to surviving months of low light and drought. 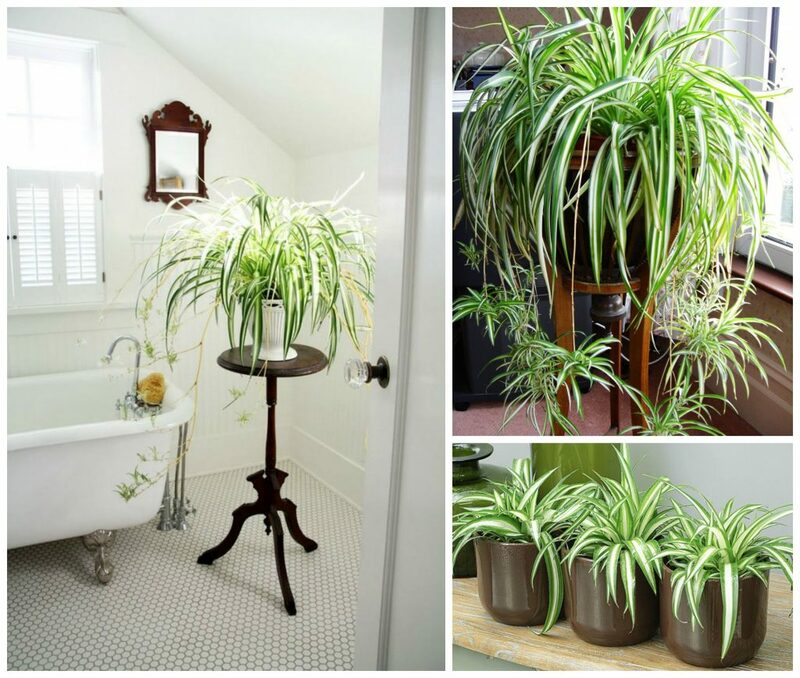 If you are in a dim-lit apartment or need a plant for your windowless bathroom, this plant will do the job nicely. If you are a horrible gardener and have a total black thumb, these plants are for you! Not only do they need less water, but they also don’t need much sunlight! Perfect for the person who is too busy to devote attention to their plants – or maybe just forgets (like me). Hello! I’m glad you enjoyed the article. You are definitely a plant lover! I’m sure you have a lot of good, “green thumb” advice to offer. I grow herbs inside my laundry room area all year. I have two windows and put two shelving units in front with plants on top.abd middle shelves and then my laundry soaps and materials below. It makes it so nice to hgv ave parsley, basil, rosemary, and various mint aromas there. Also allows and African violets. It bgg skips to have florescent lights so I can give them more light in dead of frozen winter days. Just keep it at least 50 degrees. 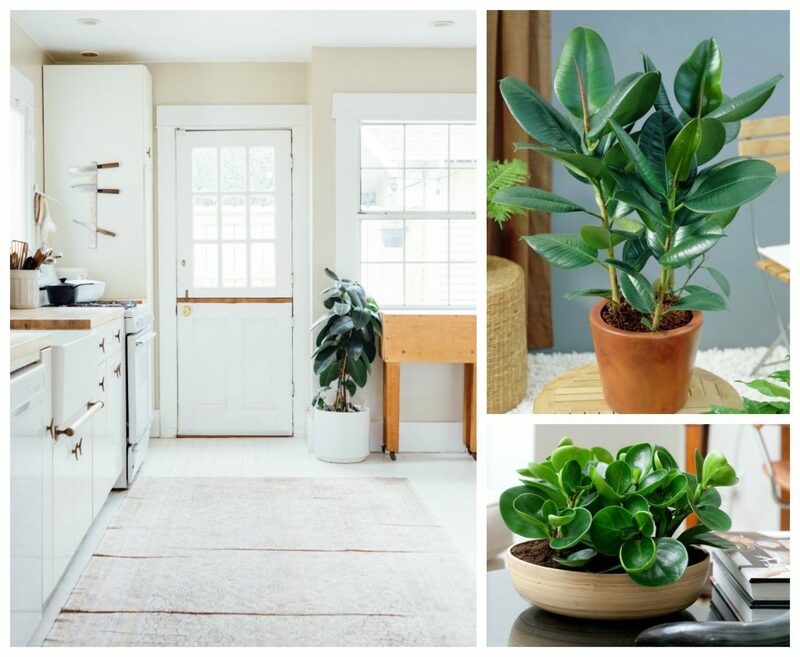 Where should you purchase house plants? Love this! 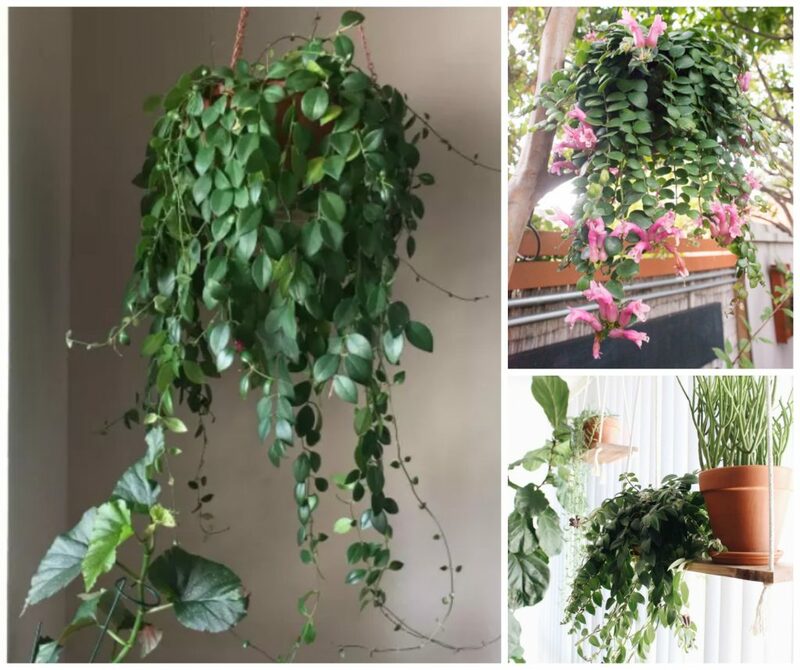 Recently got obsessed with indoor plants and this has helped a great deal!